Getting your jewelry cleaned can be expensive. What if you could clean your jewelry at home? This home remedy is not recommended for soft stones such as opals or pearls as it may damage them. It’s better if this treatment is reserved for metals such as gold or silver, and for stones such as diamonds or other gems. 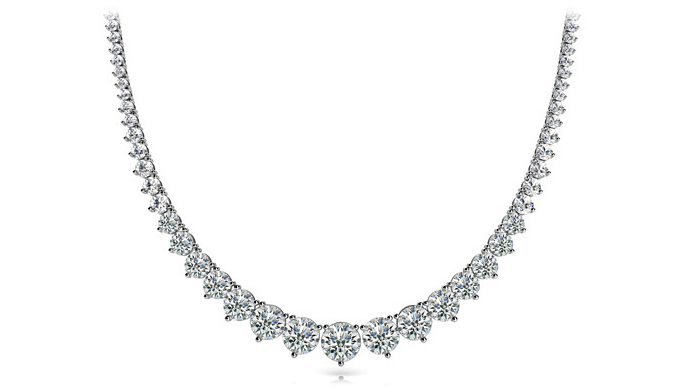 So if you have diamond necklaces, this home remedy is perfect for you. ’t merely wipe it away. If you use a toothbrush, you’ll be able to have a good handle on the brush and you’ll be able to scrub at the hard-to-reach places. If you’re working at your kitchen or bathroom sink, be sure to use a colander. You’ll want to use water to rinse of residue from your jewelry, and you really don’t need your jewelry to accidentally fall down the drain. The colander gives you the freedom and space to work without the worry of dropping it. Just freshening up your jewelry? Unless you need a thorough overhaul, don’t underestimate the value in a quality glass cleaner. Glass cleaner can brighten up your jewelry and remove dust and grime. With only glass cleaner and a good microfiber cloth, your jewelry can look new in minutes. Does your jewelry have oil or hard-to-reach gunk? If a little glass cleaner can’t freshen up your gems, you can try using Dawn Dishwashing Liquid or Lestoil with your trusty toothbrush to see how much you can clean away. Be sure to rinse afterward and use a microfiber cloth to dry your gems. If these options still aren’t tackling the residue, mix together half water and half ammonia and soak your jewelry for no longer than 15 seconds. Another great dunker is Alka-seltzer: pop your jewelry in a glass of water with Alka-seltzer for a few minutes and let the fizzy water dissolve the grime. These short dips should be enough to loosen the build up, and all you need to do thereafter is rinse it off with water and wipe it clean with a microfiber cloth. those are good safe and cheap tips to know! Oh these are some great tips, always looking for ways to clean my jewelry at home! also that first photo had me mesmerized for a good couple of minutes haha! Great tips. Simple and easy. I'm off to clean my jewelry now!! Really I am a big fan of your jewellery blog articles, when i read your fashion blog it is really impressive content sour i will followed your blog daily,i want more updates in your blog.Thanks for this content for us. That is beautiful jewelry to clean.